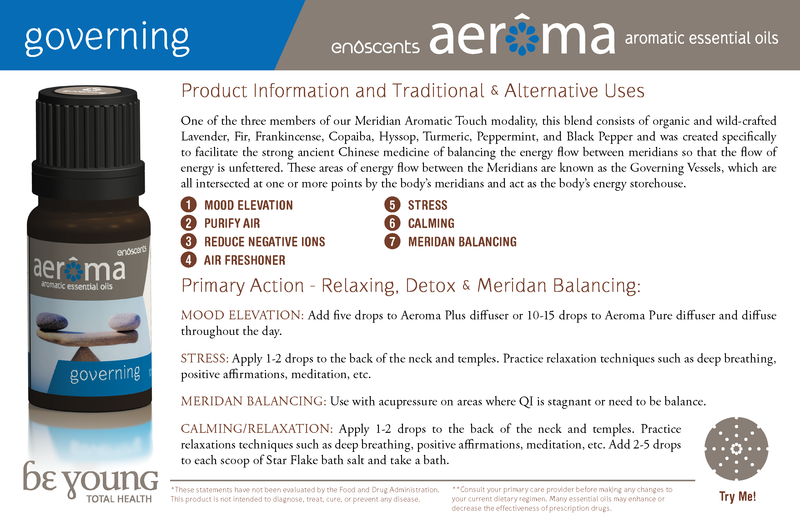 Governing™ blend has been created specifically to balance the governing vessel in the meridan pathway of the body. Bringing an overall balance to the body and individual. Helping to establish proper energy flow throughout the entire body, centering, and empowering the individual. Apply 1-3 drop directly to the governing or conception vessel to help balance help balance energy flow. Apply 1 drop to each of the following accupressure points governing vessel 1 and 25 and then hold until energy balances.